Telerik’s Q1 Release is Coming! Registration for Telerik’s Q1 release webinar week is now open! Does this seem a bit early to you? If it does you are very observant, the release is coming out one month earlier than usual (we are shifting our releases based on your feedback…see, we really do listen). 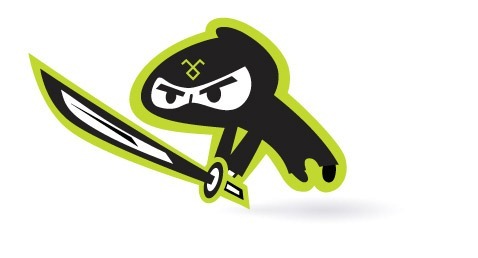 It’s time for all .NET Ninjas to sharpen their skills! 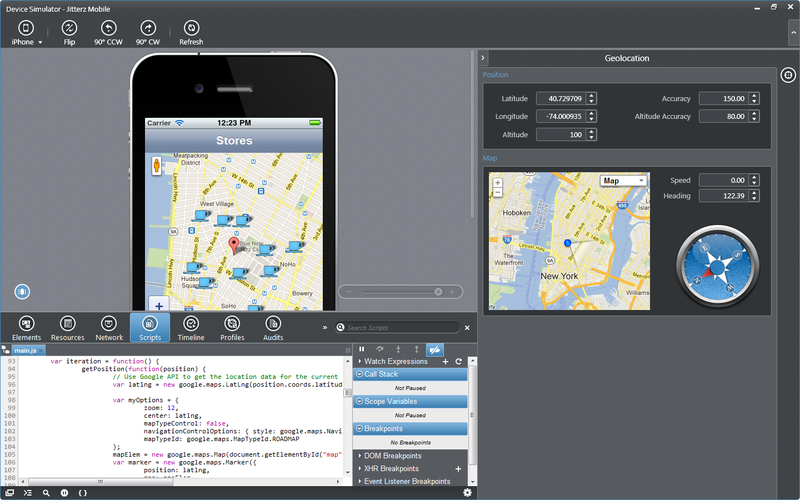 The latest Telerik release is just around the corner and we have tons of new stuff to show off. 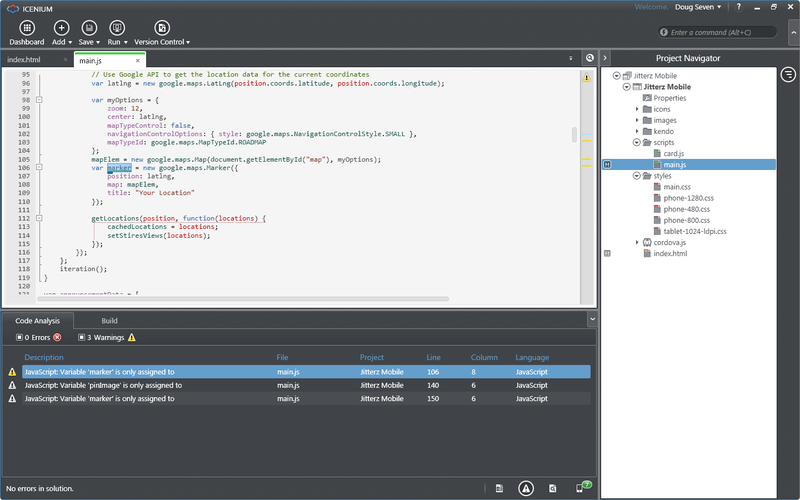 If you are eager to see the new bits and sharpen your .NET skills, be sure to sign up for Release Webinar Week. This 3-day event is packed with hour-long webinar sessions on the coolest new features shipping with the Q1 2012 release. Release Webinar Week will be held on February 20th – 22nd, so mark your calendars. 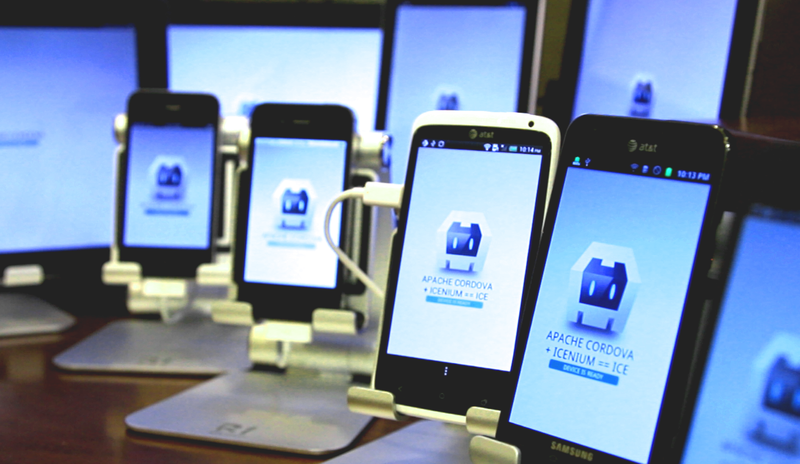 One lucky winner from each webinar will leave with a Telerik Ultimate Collection license worth $1999. To enter the drawing and participate in the Q&A session, you must attend the live webinar. Here I am at the Starbucks in the Marriott Anaheim, which is connected to the Convention Center where Build will take place beginning tomorrow. Already people are milling about and I’ve seen a few friends and former colleagues (in fact, Dave Mendlen, my old boss, and the new CMO for DevExpress, gave me a ride from the airport). There’s a bit of buzz in the air, but also still a lot of uncertainty. With all of the leaks there have been, it seems the more connected people have an idea of what will be said tomorrow, although they are still unsure what it will really mean. It seems the confidence in Microsoft will not come from them getting into the touch-centric user experience model, nor from a light weight, long-battery life tablet/slate form factor (such as implied by the Windows 8 on ARM announcements at the last CES). The confidence will come from implementation. How well can Microsoft enter this space, or how badly can they mess it up. Those seem to be the two camps. A lot of folks I have spoken with don’t think Microsoft has the ingenuity to get into this game the right way. Perhaps its from years of tablet devices that were merely laptop PCs that could be used with a stylus. On the goos side for Microsoft, that means the bar is relatively low – simply don’t screw up and whatever else you do will be acceptable. On the other hand, I know a number of people who believe Microsoft is going to do what Microsoft historically has been good at – enter late and envelop the market. We’ve seen this with the OS wars of the early to mid 90’s, the browser wars of the late 90’s and even the game console market in the 00’s. Unfortunately we have yet to see this with the smartphone market, where Microsoft is still effectively in last place. Personally I am a believer. I think we will see and hear things tomorrow that will wow us, make us curious, and inspire us to learn a new way of programming for the Microsoft stack. I am not without concern, however. There are plenty of ways Microsoft can mess this up, but I don’t think they will. 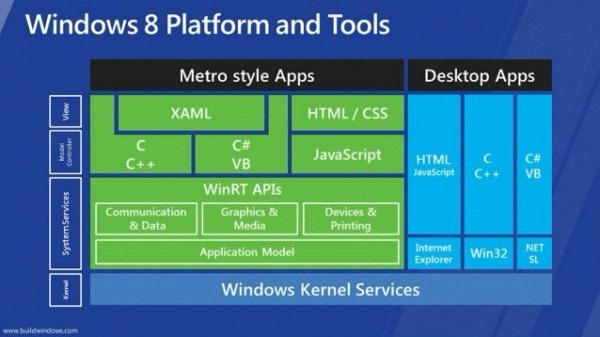 I believe that Sinofsky and the Windows team have been working diligently to make a compelling experience for Windows developers, such that it may even do what they want mosts, and attract non-Windows developers to the platform. 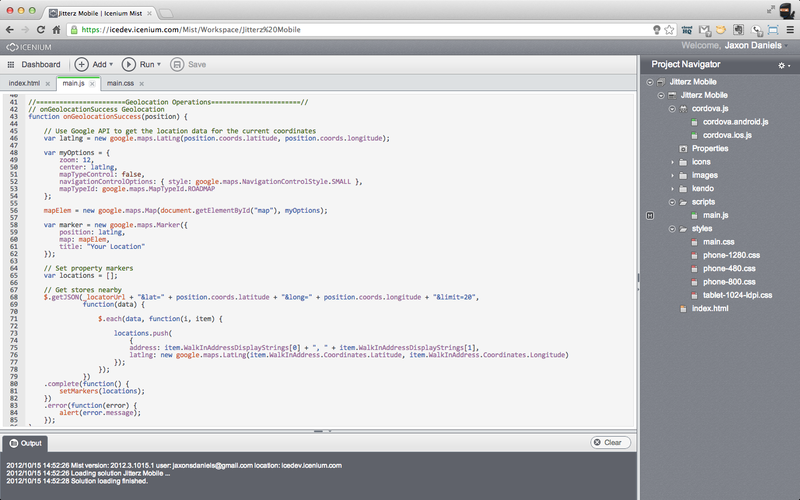 I also think the Developer Division has been working hard to create a compelling tooling environment for the platform. I think most people will be happy with what they see….it just may take a few days. 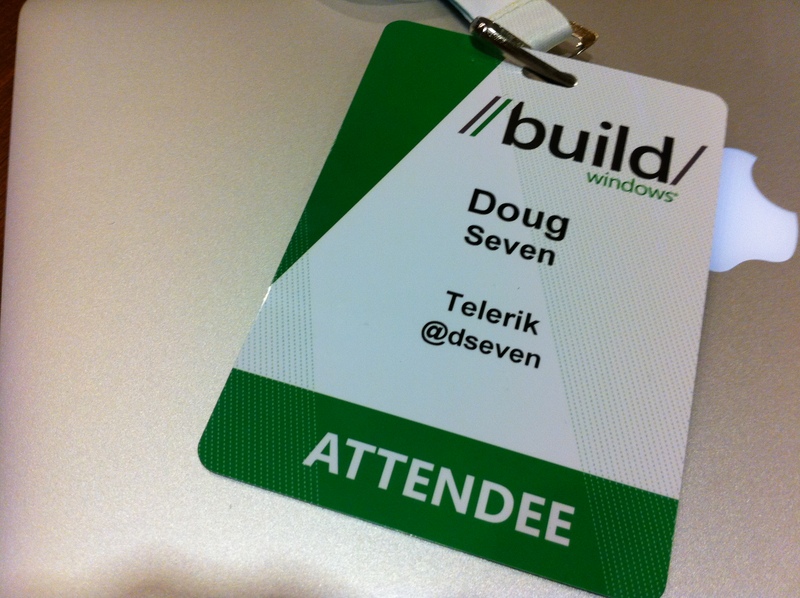 Telerik is here at Build, but we are here mostly as attendees. We are hear to hear from Microsoft and learn from Microsoft. 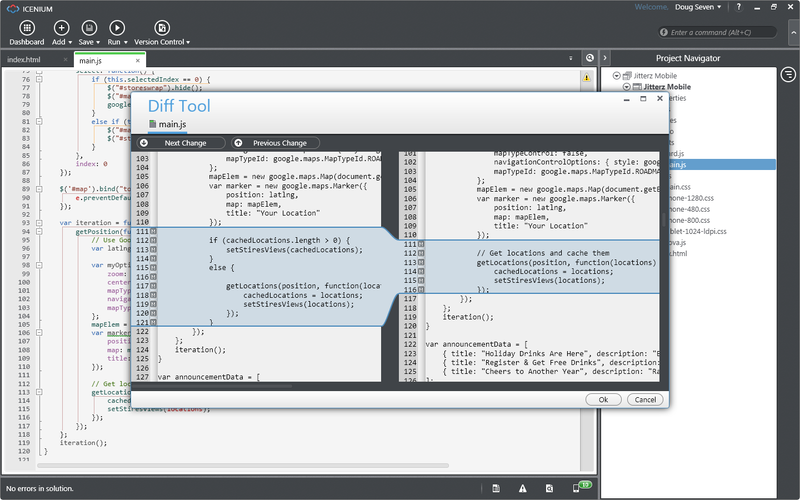 Our goal is to provide great additions to the Microsoft development tools, through UI controls, additional productivity tools, and whatever else may be appropriate. Of course we could come to Build and totally blend in, so if you are here, look for us and ask for a t-shirt. In fact, Tuesday morning, look for me driving the .NET Ninja Mobile (a Lamborghini with the Telerik logo) and take and post a picture of yourself with me and I’ll give you a t-shirt and a coveted pass to the GeekFest party on Thursday. If you need a ride to the conference Tuesday morning, send me a direct message on Twitter (@dseven) and I’ll come pick you up and drop you off in style. The past two days in my new job have been a whirlwind. We’ve been in a 2-day leadership summit spanning all of the existing product groups, and the marketing and evangelism teams. During the conversations one of the topics turned to product positioning. Not because Telerik has any particular issue with positioning, but rather because, as the company grows there is some concern about how we can keep the positioning and messaging of both the company and the products consistent as our customers engage with different team members across the various divisions, including our marketing material, website, team member engagements at events, and customer interactions with our sales and evangelism teams. This is not a unique problem to Telerik or even to small growing companies. 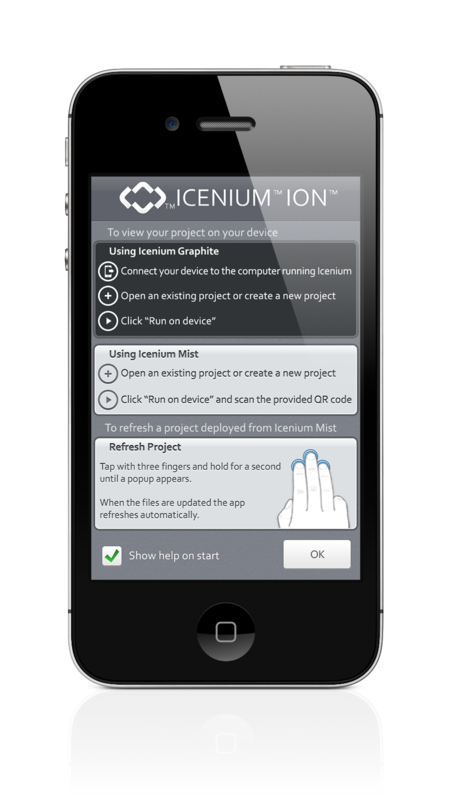 I wrestled with this at my last job overseeing a large product (Visual Studio) at Microsoft. This is a pain felt by anyone responsible for a product, a product line, or ever their company positioning. Not a new problem and easily addressed with some conscious work to create a positioning and messaging document. This will be the touchstone for anyone that will talk about your product. It will inform them of how to position the product in the market, and provide the specific messages (talking points) to use depending on the context of the conversation. Typically you would want to create the positioning statement (the primary component to your positioning document) early in the product development phase. As it turns out, that is exactly where my new product division is – the concept has been proven and demo’ed (which is what drew me here) and now it is time to create a product and a business. For me it’s about applying the basic structure for product positioning, which has been around ever since Eve tried to convince Adam to eat an apple. A product positioning statement has four main components – the target, the frame of reference, the differentiation, and the reason(s) to believe. Allow me to elaborated. The target is who the product is for – who is the target user or customer of the product. The key to a good target definition is to balance being specific with being concise, you need to describe the target well enough that they can be identified, without being so verbose that your positioning statement goes beyond one or two sentences. Using the Adam and Even example, the target for positioning the apple is “hungry men willing to be adventurous with their palette” (after all, Adam had never had an apple before). The differentiation is the thing or things that set your product apart from similar offerings from your competitors (let’s face it, if there is no differentiation then there is no reason for a customer to choose your product over a competitor). The differentiation can come in may forms – feature deltas, price, quality, support, social acceptance, etc. For example the differentiation of a Sony TV and Samsung TV may be Sony’s reputation in the electronics business, or their track record of performance, since both TV’s likely have the same features. Samsung’s differentiation my be price (Sony is likely to charge more for their reputation). Going back to our apple, the differentiation may be that it “is sweeter and juicier than any other fruit in the land.” Of course, that a big claim – and that is what differentiation is, nothing more than a claim – and it needs to be backed up. The reasons to believe are the proof points to back up your claims of differentiation. For example you may claim better quality than your competitors, and now you need to provide the reason to believe you, which may come in the form of independent analysis (e.g. JD Powers & Associates Award). The reasons to believe should help your customer believe the claims you are stating to be fact, not simply your opinion. For the apple, it may not be about independent verification (since there was no one to verify it except for what my daughter refers to as the “sneaky snake”), but rather a believable piece of evidence, like “it was grown in the most fertile soil in the land – the Garden of Eden.” While this isn’t specifically proof that the apple is “sweeter and juicier than any other fruit in the land,” it is believable that the Garden of Eden would produce better fruit than anywhere else. Clearly this is a simplified example, but the format and components are time tested and proven. Once you have your positioning statement you are ready to move on to defining the specific messaging that goes along with your product (how will everyone in your company talk about your product). I’ll cover messaging next time.